Everyone has a favorite dish they look forward to on the table. Remember Campbell’s Classic Green Bean Casserole, created by Dorcas Reilly, Campbell Test Kitchen Manager, in 1955 that went viral in a pre-internet world? 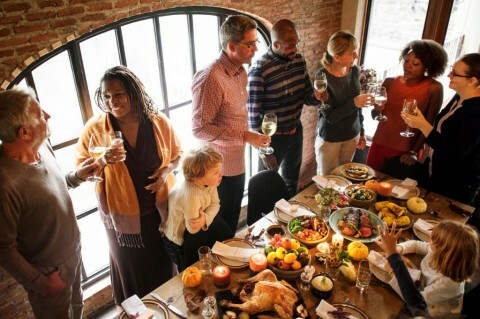 Apparently, the distinctive combined flavors of cream of mushroom soup, green beans, soy sauce, and French’s pre-cooked crispy onion rings has proved unforgettable to a multitude of Americans and is still a staple on Thanksgiving tables. Dorcas Reilly recently passed away at the age of 92. Here’s her obituary in the New York Times. Other classic Thanksgiving favorites include canned Le Seur peas, candied yams, favorite stuffings (the list is gigantic), not to mention all the varieties of pies and cakes that families prefer. The American Thanksgiving menu is white, tan and brown, except for the cranberries. Even gorgeous orange sweet potatoes are covered up by marshmallows, or so caramelized they look brown. God forbid the family cooks who don’t provide those favorites when expected! My mother, starting when I was 9 years old, always made a pumpkin chiffon pie with a graham cracker crust. I just LOVED that pie! I came home from college my freshman year, salivating for that pie. I’d been living with dorm food, and simply couldn’t wait to taste that pie. I remember that happy anticipation of desert... Then my mother brought out the pie, and it was NOT THAT PIE! She had tried a new recipe from the New York Times. I turned to her and I said, WHAT happened to the pumpkin chiffon pie? She said, I thought I’d try something new! I said, HOW COULD YOU DO THIS TO ME? She said, I had no idea this was so important to you! I was beside myself. Kind of ironic that I’m about to suggest you try something new for Thanksgiving! It takes a nerve, right? Turn your Thanksgiving sides technicolor! Here’s my backstory. I get turkey anxiety! Me, a trained chef and cookbook author. The whole turkey thing is too much pressure for me! I don’t get involved anymore. I’ve fallen in love with sides, and have totally reimagined Thanksgiving as a festival of color! I’m a proponent of trying one or two new things every year. Maybe you either slide em in or give fair warning, so people don’t have a meltdown at the table. If they really need their green bean casserole or candied yams, they can bring it. Why don’t people think of salads for Thanksgiving? They provide such a great counterpoint to the heavier foods. This is an especially delectable one, a perennial favorite with family and friends. Talk about a new version of an old favorite! I don’t want to take people too far out of their comfort zones, but here the ginger and the lime perform like a pair of piccolos, providing unexpected high notes of tartness and spice that play beautifully off the sweet potatoes’ sweetness and bass heartiness. You will love this tune! If you have vegan or vegetarian friends coming to your table, this beautiful squash recipe is fantastic! My confirmed, dyed-in-the-wool meat-eating husband Gregg claims this satisfying dish is his favorite meal of all time. (!!!). I think you can count on your guests being bowled over. You might not think of sauerkraut a Thanksgiving side, but it’s a Southern Maryland tradition! It makes a lot of sense, actually. Think about it—a tasty little condiment that aids in digestion, and adds a deliciously piquant flavor! We have it every year at our house. How about a fresh new green bean recipe for those green bean fans? I’m here to tell you that string beans can have Thanksgiving-worthy pizzazz! A quick dip in boiling salted water followed by a quick plunge into an ice water bath stops the cooking process before the beans get wilted and preserves their gorgeous color. The caramelized shallots, garlic, and rosemary knock it out of the park. I have nothing to say about the pie selection based on my own experience. I wouldn’t mess with anybody’s favorite pie if I were you! TO QUOTE MY LATE FATHER JOSEPH J. KATZ, “FOOD IS AN EMOTIONAL ISSUE!” AND BOY, WAS HE RIGHT. ESPECIALLY AROUND THANKSGIVING. ESPECIALLY FOR KIDS STARTING COLLEGE. A very Happy Thanksgiving from my family to yours! 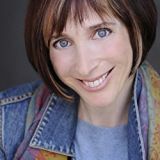 Rebecca Katz is a nationally-recognized author and expert on the role of food in supporting health. She has a Masters of Science degree in Health and Nutrition Education, and received her culinary training from New York's Natural Gourmet Institute. Rebecca consults for health care facilities, hotels, spas and resorts; offers custom workshops for physicians, nurses, and wellness professionals; and is a sought-after speaker at medical centers, wellness conferences and corporate events. She is the founder and director of the Healing Kitchens Institute at Commonweal in Bolinas, CA, a program dedicated to transforming lives through nutritional science and culinary alchemy. She is the author of Clean Soups: Simple, Nourishing Recipes for Health and Vitality (Ten Speed Press, 2016), The Healthy Mind Cookbook: Big Flavor Recipes to Enhance Brain Function, Mood, Memory and Mental Clarity (Ten Speed Press, 2015); The Longevity Kitchen: Satisfying Big-Flavor Recipes Featuring the Top 16 Age Busting Power Foods (Ten Speed Press,2013), the award-winning cookbook The Cancer-Fighting Kitchen: Nourishing Big-Flavor Recipes for Cancer Treatment and Beyond (Ten Speed Press, 2009, 2017), and One Bite at a Time: Nourishing Recipes for Cancer Survivors and their Friends (Ten Speed Press 2004, 2008). Saturday, 30 March 2019 The promise of spring… or, how spring can be SO fickle! Monday, 04 March 2019 Refresh & renew: spring cleaning! Monday, 04 February 2019 Bringing February to life with beets & citrus!